As the crisis continues in Nicaragua, the president of the country’s Bishops’ Conference has spoken out against the violent crackdown on anti-government protests – including assaults on clergy. Cardinal Leopoldo José Brenes Solorzano, the Archbishop of Managua, told Catholic charity Aid to the Church in Need that there have been two attacks on bishops in the last fortnight – including one on himself. 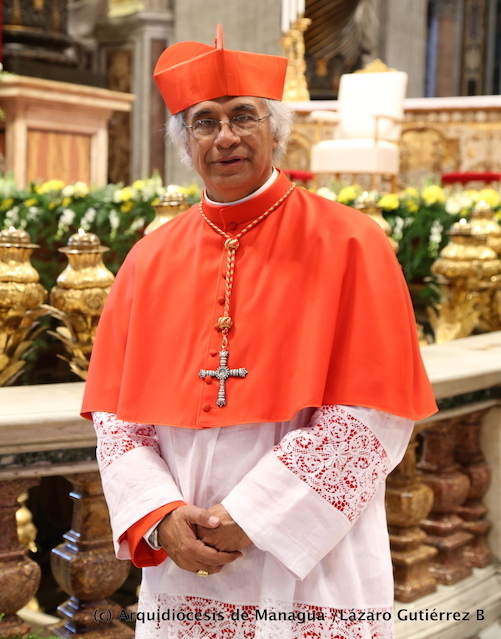 On 9th July, the cardinal was assaulted by government soldiers who entered the Basilica of San Sebastian in Diriamba – as were his Auxiliary Bishop José Silvio Baez and the apostolic nuncio Archbishop Waldemar Stanisław. As well as the raid on the Basilica, Bishop Abelardo Mata narrowly escaped armed attackers on Monday (16th July). According to UN figures, 280 died and 1,830 suffered injuries when government forces cracked down on anti-government protests over the last three months. The cardinal also spoke about the situation in Masaya, some 18 ½ miles (30 km) south of the capital Managua, where large-scale protests calling for President Daniel Ortega’s resignation led to all the roads into the city being blockaded. At around 6 am local time on Tuesday (17th July), Masaya was besieged by more than 1,000 soldiers and police. By the time the government announced that it had retaken control of the city later that day, at least three people had died. Cardinal Brenes told ACN: “It is an extremely difficult moment for the whole country”. He added: “Hearing the appeal by Pope Francis to be a ‘field hospital’, many of our parishes have given shelter to those seeking safety and help to the injured”. Cardinal Brenes asked governments to call on President Ortega’s administration to show respect for the Nicaraguan people – and the Church. Aid to the Church in Need announced that it will be organizing a visit to Nicaragua as a gesture of solidarity and to look at ways of providing pastoral support.